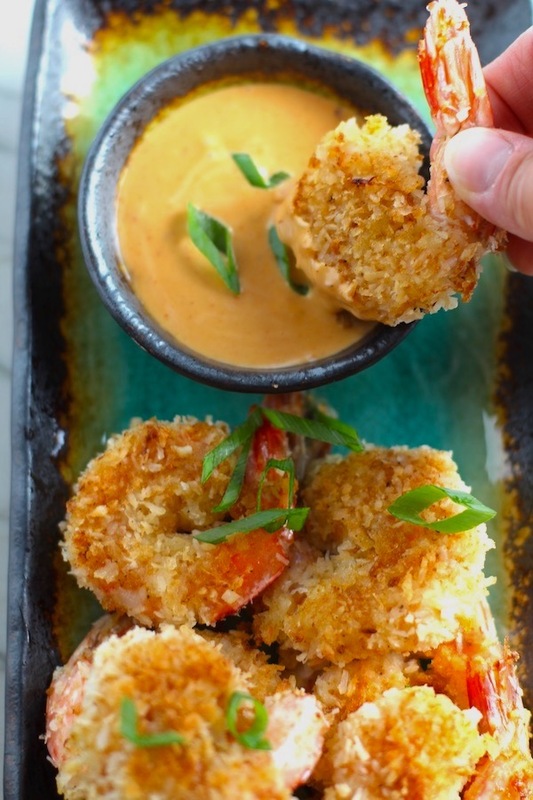 Crunchy and utterly irresistible, this 30-Minute Baked Coconut Shrimp recipe is one that you have got to try! The shredded Coconut brings a slightly sweet flavor and combined with the salt, garlic powder and bread crumbs gives you a perfect crunch in every bite. Dip them into the Sriracha Mayonnaise and they are heavenly. Great dinner or appetizer. Did I mention that these are baked in the oven!? That means they are also EASY and HEALTHIER for you because they aren’t fried! I got you, Babe! And YOU got THIS! Shredded Coconut is a great Gluten Free alternative to breadcrumbs and it’s a good source of Fiber with 3 tablespoons containing 3g (Bob’s Red Mill Unsweetened Shredded Coconut). For those eating a gluten free diet, it may be harder for you to get the recommended amount of Fiber each day so this is a great addition to your diet! Medical experts recommend about 25g of Fiber each day for women and 38 for men. Yet, the average person gets only about 15g. I tracked my Fiber intake and it ranged from 10g to 20g, so it’s something that I am looking to improve on and get more consistency with. You can add coconut to smoothies, to oatmeal, to peanut butter toast, to salads, and so much more! 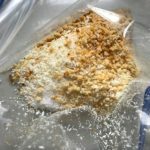 In this recipe, I have combined the coconut with some Gluten Free Breadcrumbs, but you can either replace with regular breadcrumbs or more coconut. Store Shredded Coconut in the freezer so it lasts longer – up to 6 months! Try these other delicious Baked-not-Fried recipes. 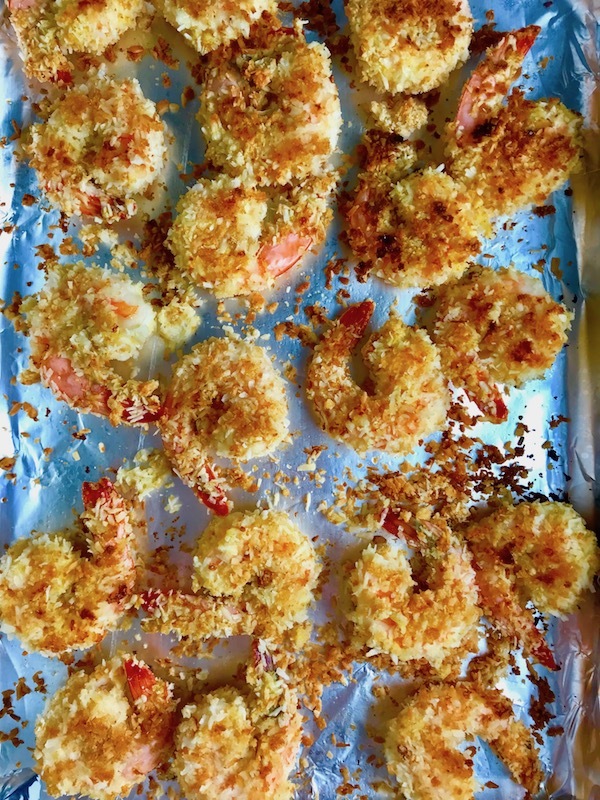 You can replace breadcrumbs with shredded Coconut in any of these! 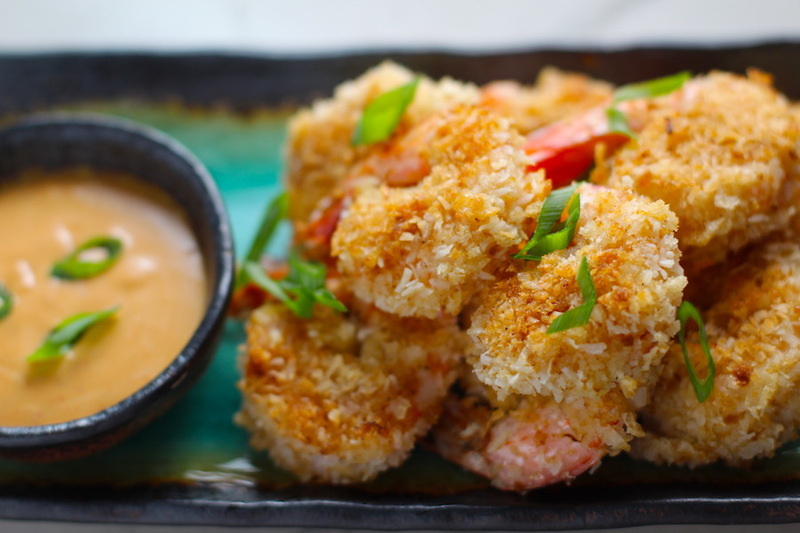 Make the Coconut mixture by combining the shredded coconut, breadcrumbs, garlic powder, salt, and pepper. Store covered in the fridge until ready to cook. 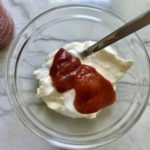 Make the Sriracha Mayonnaise in a small bowl by adding the mayonnaise, Sriracha, and Ketchup. Whisk together until blended. Store covered in the fridge. 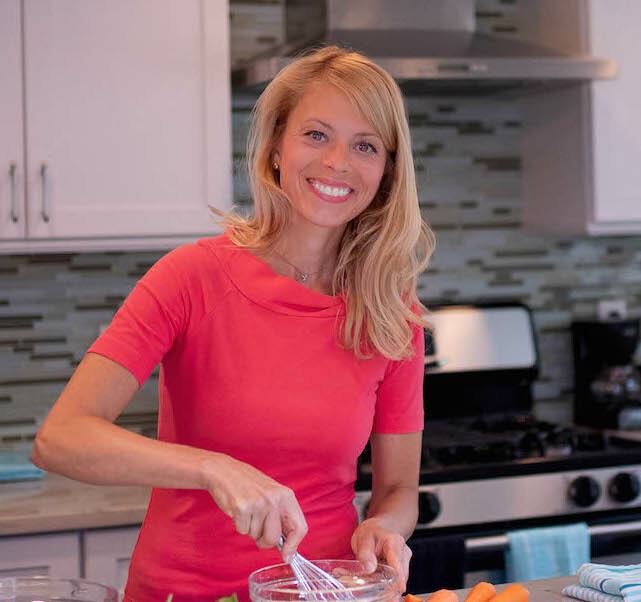 BTW, check out my super easy recipe for Homemade Ketchup with Honey (no refined sugar here!). Rinse the cleaned shrimp and pat dry with paper towel. Beat the 3 eggs together in a medium bowl. 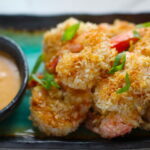 Dip each shrimp in the egg and then dredge in the coconut mixture. Then lay on an oiled sheet pan so that none of the shrimp are touching. Bake for 10 minutes. Flip the shrimp over and bake for another 5 minutes. 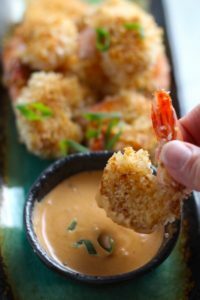 Serve with the Sriracha Mayo and enjoy! 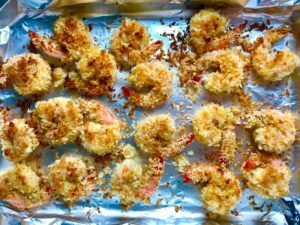 Crunchy and utterly irresistible, this 30-Minute Baked Coconut Shrimp recipe is one that you have got to try! 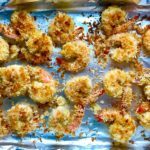 The shredded Coconut brings a slightly sweet flavor and combined with the salt, garlic powder and bread crumbs gives you a perfect crunch in every bite. Dip them into the Sriracha Mayonnaise and they are heavenly. Did I mention that these are baked in the oven!? That means they are also EASY and HEALTHIER for you because they aren't fried! 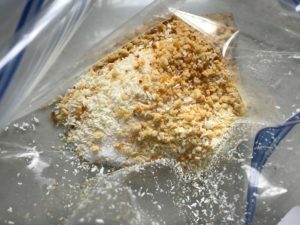 Make the Coconut mixture: In a medium bowl or gallon plastic bag, mix the shredded coconut, breadcrumbs, garlic powder, salt, and pepper. Store covered in the fridge until ready to cook. 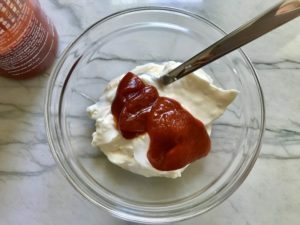 Make the Sriracha Mayonnaise in a small bowl by adding the mayonnaise, Sriracha, and Ketchup. Whisk together until blended. Store covered in the fridge.